As we mentioned before we are making the move to the Junction. It’ll be hard to leave Harbord Village but we’re very excited about the new neighborhood, and all the new possibilities for sprucing up our apartment! That includes coming up with some solutions for our very small 3 pc bathroom that hasn’t been renovated for at least 15 + years. We were lucky enough to have the experience working on the cottage bathroom reno, but now we’d like to invest a bit more and come up with really smart efficient solutions. 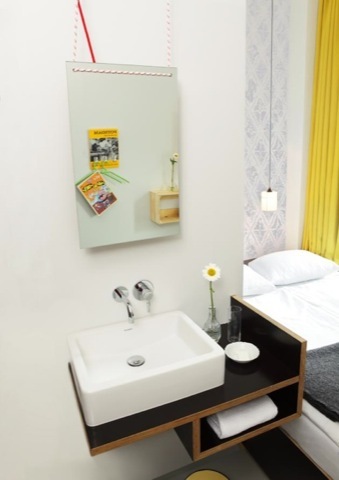 I was really excited to see this photo of a sink in the Michelberger hotel, I love the black linoleum covered plywood and the little shelf for holding a hand towel. Linoleum is a really neat material, it’s easy to clean and antibacterial. Of course DWR has to go and make a sink with storage and ruin everyone’s lives by selling it for $1100. 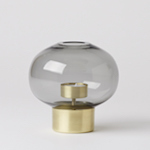 Don’t you have enough products yet DWR? Maybe let the small business bathroom people have some business too. But seriously, I really dig this sink it’s a far cry away from the $150 dollars we spent on our pedestal sink but it may still be a possibility. 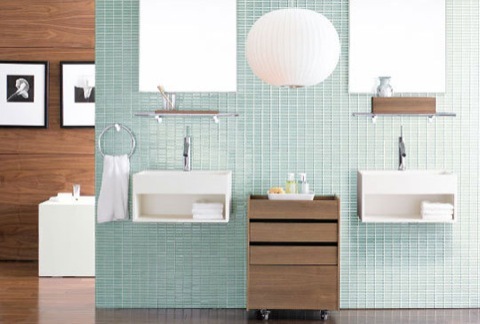 Sometimes I dream of a beautiful white hallway (or if we knock all the walls down it’ll be just one big living room) leading to a bold coloured tile bathroom, when the bathroom door is left open it almost acts as an accent colour for the room. 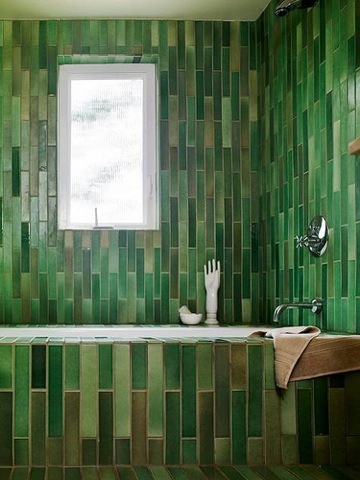 Of course it doesn’t have to be mosaic tiles, I really love these earthy green and brown tiles from Catherine Bailey & Robin Petravic’s bathroom, the couple that run Heath Ceramics. Another really neat solution that I liked are “Wet Rooms” which we used a lot of in Scandinavia. Now I know Juli doesn’t like these because it gets water all over the floors which makes it very unpleasant for anyone wanting to use the bathroom after someone had just had a shower, but c’mon! Hear me out, and look at these nice pictures! 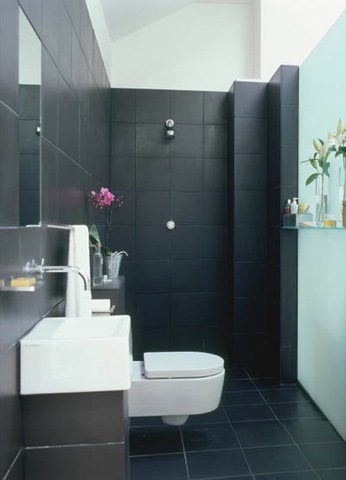 Now this is a great image of a wet room being used in a small space, it allows for the same floor to be used throughout the bathroom and gives you a lot more visual space. Now this isn’t necessarily the best example for a wet room, I think I would have to add one more thing to get the thumbs up from Juli. That’s better. 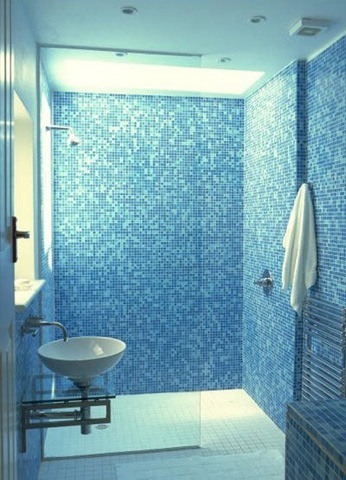 A glass partition and good drainage would be the most practical solution to make any smaller sized wet room fully functional. « Kitka feautured in Now Magazine!